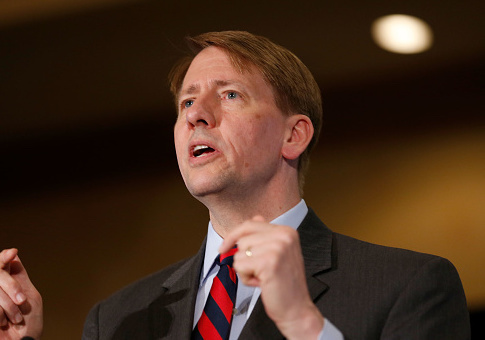 A study has indicated the proposals of Ohio Democratic gubernatorial candidate Richard Cordray would require a 46 percent tax increase. According to the Columbus Dispatch, "Cordray has said he will work with existing tax revenues to help pay for his priorities, spend down state budget surpluses, harvest additional taxes from sources such as increased collection of sales taxes on internet purchases, and could potentially tap the $2.7 billion state rainy day fund." Ohio House Speaker Ryan Smith and Senate President Larry Obhof found several of Cordray's spending proposals would cost more than $4 billion a year "beyond the state's current fiscal capacity," according to a press release from the DeWine campaign. Over the course of four fiscal years in the governor's term, the proposals would cost over $16 billion. "We’re not saying we disagree with all of these programs," Smith said. "What we’re saying is that these proposals don’t fit within the state’s current revenue stream, so it’s important to explain how they’d be funded. There’s just no way to generate these dollars within our current resources, even if you added revenue from the areas Cordray has identified." Cordray, who was the Obama administration's director of the Consumer Financial Protection Bureau, has indicated in the past he would consider a "combination of taxes" and "state reserves" for some of his proposals. He has also criticized the repeal of the estate tax in 2013. Cordray's opponent, Ohio attorney general Mike DeWine, released an ad earlier this week slamming the Democrat for "crushing taxes" during his time serving in former governor Ted Strickland's administration. The ad also accuses Cordray of trying to bring back the "same failed policies." In response, the Cordray campaign countered with an ad saying he supports a "balanced budget" and "no new taxes." The Ohio gubernatorial race is expected to be close, with FiveThirtyEight currently giving DeWine a slight edge. This entry was posted in Politics and tagged 2018 Election, Ohio, Richard Cordray. Bookmark the permalink.